J. 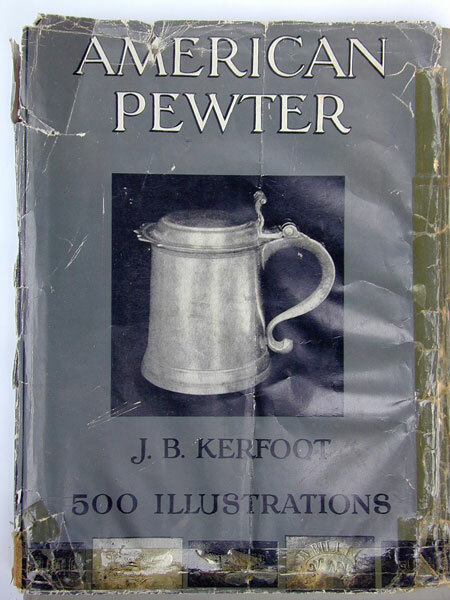 B. Kerfoot was one of the pioneers in field of American Pewter. His book was first published in 1924. 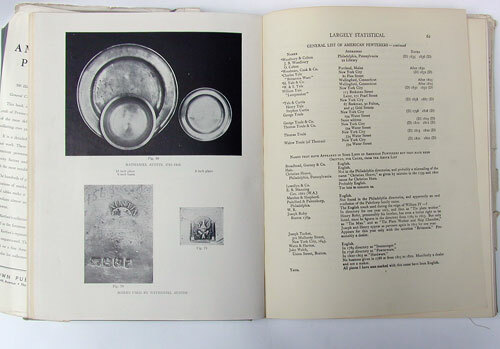 Although portions of the text and identifications of makers have been corrected in more recent publications, Kerfoot's work is a must for all collectors. This work has decent photographs of touchmarks and objects made by makers likely to be encountered by today's collector. The photos of touchmarks make for a sure comparison and validation of a mark on a piece you might be considering for purchase. Used in good condition reprint 1942.